This post is written by our good friend and intercultural competency expert, Emily Braucher of Refresh Communication, with some ideas on how travelers and volunteers can ensure they engage in mindful communication across cultures and settings. 1. Don’t trust your gut. Use your judgments as information, not facts. 2. We communicate the way we have been taught, not because it is inherently right. Anything that feels “normal” to us has been taught to us at some point. Probably when we were really young. Our baseline sense of normalcy is the basis for our “shoulds.” For example, as someone from the United States, it feels normal to me to look to the left first when crossing the road. I would tell most people they “should” always look to the left first. To a person from Japan, it feel normal to look to the right first. The creation of normal is a simple process of conditioning in response to our environment that produces a compelling, embodied sense of normalcy. This holds true in communication. We find ourselves thinking, “This person should be more forthcoming, this person should be more sensitive, this person…” you get the idea. Whenever you hear yourself wanting someone to communicate in a different way that would feel more comfortable and normal for you, take that simply as information on your culture and upbringing. Then remember your goal or intention of talking with them. Instead of focusing on trying to make someone else communicate in a way that feels “right” to you, refocus on your goals and get creative. News flash: we are not supposed to understand how to function in another culture. The system is set up for us to be experts in our own national culture, but once we go abroad, we are like children learning a new skill. Since you are not suppose to be good at it, give yourself a break and laugh when you make a mistake! It helps ease the pressure and brings back the playful aspect of learning something new. You will be surprised how forgiving people are of you as well. All humans have a drive to know what is happening: how does the movie end? What comes next? How do I fit in? Yet the moments of not knowing what is happening are also the moments where we are the most open to the unexpected, the edge of our understanding, where we stand at the brink of a radically new way of seeing the world. When you find yourself not understanding someone’s way of being, be curious. What more do you not know? Instead of rushing to make sense of the situation in your current lens, become curious and see how your world expands. It happens to the best of us: we start to think people want to take advantage of the foreigner. We become jaded and skeptical. It is not uncommon to be taken advantage of at times: people might ask you to pay a bit more or hold you to a different standard as a foreigner. Here is the challenge though: can you take each new interaction with a new person by starting with a blank slate? When you begin by assuming their intent is positive (maybe they do just want to invite you to dinner and do not want anything in return) you may find that the ground for cross-cultural connection grows around you. If you become jaded from a few negative experiences which hinder your willingness to engage with others, you will be hard pressed to find the type of inspiring connections that will warm your heart and fill your stories for years to come. Emily Braucher is the founder of Refresh Communication, an intercultural competency and communication training company. 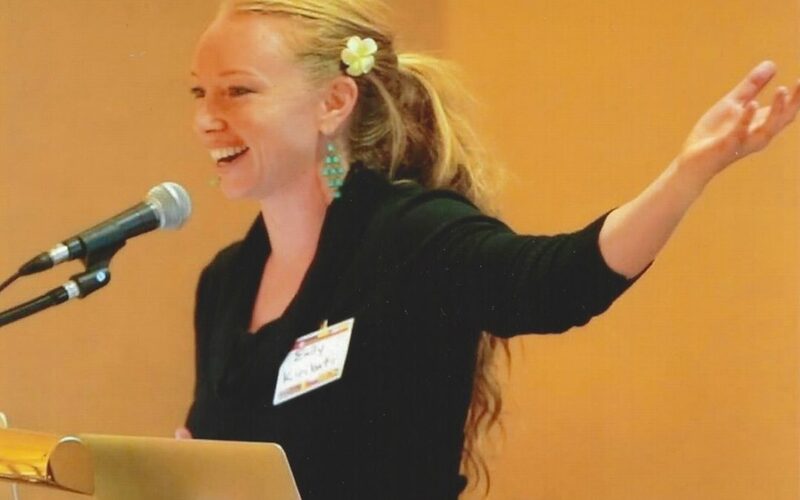 Emily provides keynote talks and workshops guide participants to a deeper awareness of self and equip them with tools to navigate challenging intercultural interactions and relationships. She is endlessly passionate about helping people connect across differences in communication styles, cultural values and power statuses. Her work draws upon cutting edge brain research to provide evidence-based tools that help people function at their best.